I came across a major healthcare employer (500+ job openings!) and found 2 shocking things. FYI –Mom and dad taught me not to kick someone when they’re down, so I’m keeping the name of this employer anonymous. Are you reading these “System Requirements”? You can use Internet Explorer, Firefox and Safari, but only the versions from 3 years ago (I won’t bore you with browser versions but let’s put it this way: Internet Explorer is up to version 11 right now and I’m using Safari version 10.0.3). 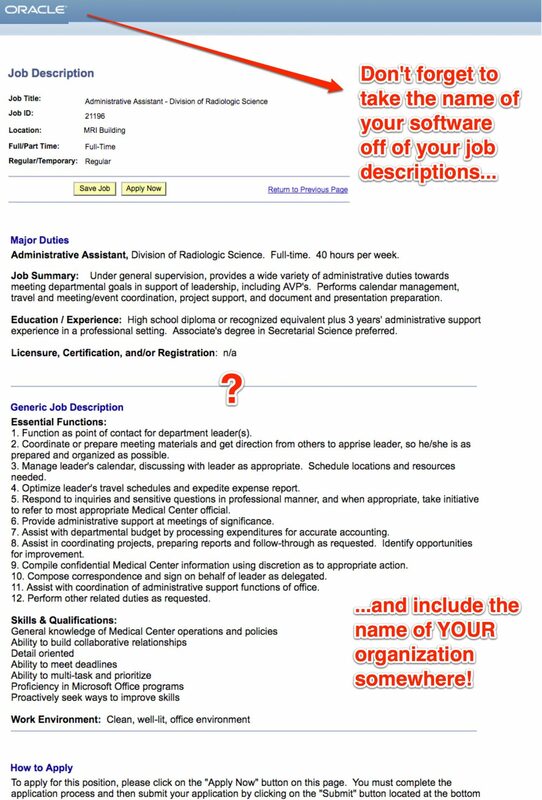 Check out the layout of the same employer’s job description. Notice anything missing? How about the employer’s name? Hint: It’s not Oracle — Oracle is the provider of the applicant tracking software behind it (looks like PeopleSoft) powering this JD. It’s bad enough that Oracle’s name is at the top, but at least put your own employer name somewhere. 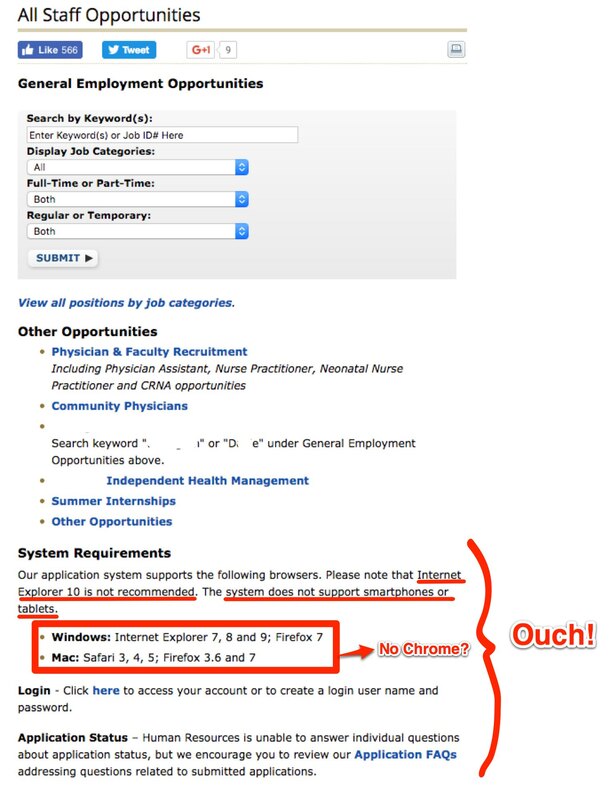 The employer’s name is nowhere on the page…literally. I’ll be reaching out to this employer right about now to help!